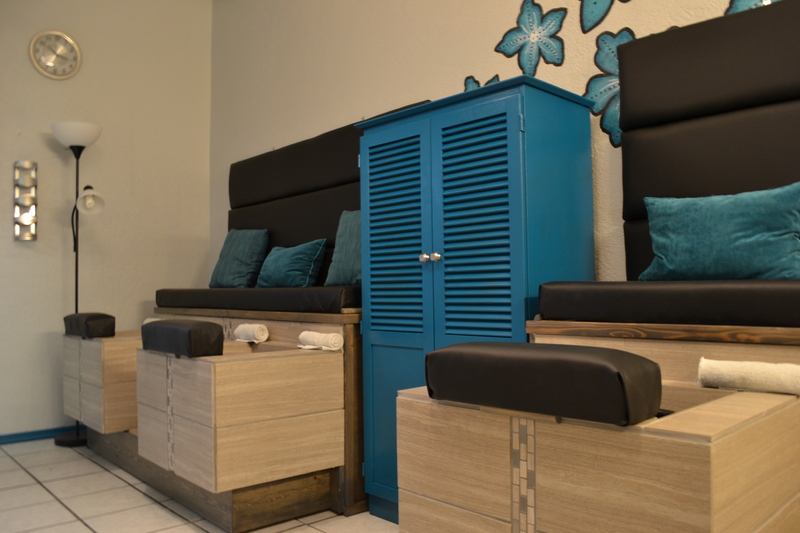 Neilmarie Salon offers the best pedicures in Albuquerque. You won’t want to pass on this luxurious experience offered by us. An hour of pampering, with rose petals in a warm salt bath soak to relax your feet, followed by a gentle foot scrub which smells wonderful and makes your feet like new! No skimping on the quality of the products we use either! The callus remover for the heals is unbelievably effective, your sure to be pleasantly surprised. Cuticle oil for maintenance and prevention of over grown cuticles, & lotion for my favorite part of the pedicure, the feet and leg massage. The finished look is a beautiful application of your choice of Polish, CND Vinylux, CND Shellac Gel Polish, or the latest fashion trend Acrygel. We’re not only known for the quality of our service, but also for our cleanliness. Sanitation is very important at Neilmarie Salon, our tools are always properly sterilized after and before every pedicure service. You assume that would be the case with every place that offers a pedicure service, however, sadly you would be mistaken. Our files & buffers are used only once, and all of our pedicure baths are lined before every service and then discarded after your service, so your toes are the only toes to soak in that water & you’re sure to be safe from getting any unfavorable conditions such as funguses, etc. If you’re wondering why this is such an important service, well we are all guilty of being hard on our feet. Sandals, flip-flops, or like I often am…barefooted, leaves feet more exposed to environmental effects such as calluses, dry cracking skin, and other unfavorable conditions. Also because of the industry I work in I am on my feet most of the day, and if you are as well then if you don’t take care of them it could result in more than just sore feet you could escalate to knee & back issues. Giving your feet time and attention isn’t just about having attractive feet, though that is important and a plus, but it’s about taking care of ourselves! Give us a call at 292-5905 or walk in. We are ready to provide you with a luxurious experience! Categories: nail services, Pedicures, Salon Services | Tags: abq, acrygel, albuquerque, best salon, CND, massage, nails, new mexico, pampering, pedicures, salon, vinylux | Permalink.